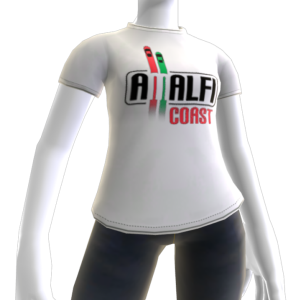 Relive your victories on the historic Italian Amalfi Coast race track while wearing the official Amalfi Coast Forza Motorsport 3 t-shirt. There are no refunds for this item. For more information, see www.xbox.com/live/accounts.